This is my 2nd full year with this tree and it's pushed out a decent crop this year. I picked the fruit in November after all of the leaves fell off. Last year I lost the crop due to frost so I wanted to avoid that mistake again this year and let the fruit ripen on the counter. Some took 3 weeks, others took about 5 to get to a stage where they were edible. For a non astringent type they were still super astringent if not ripened completely. 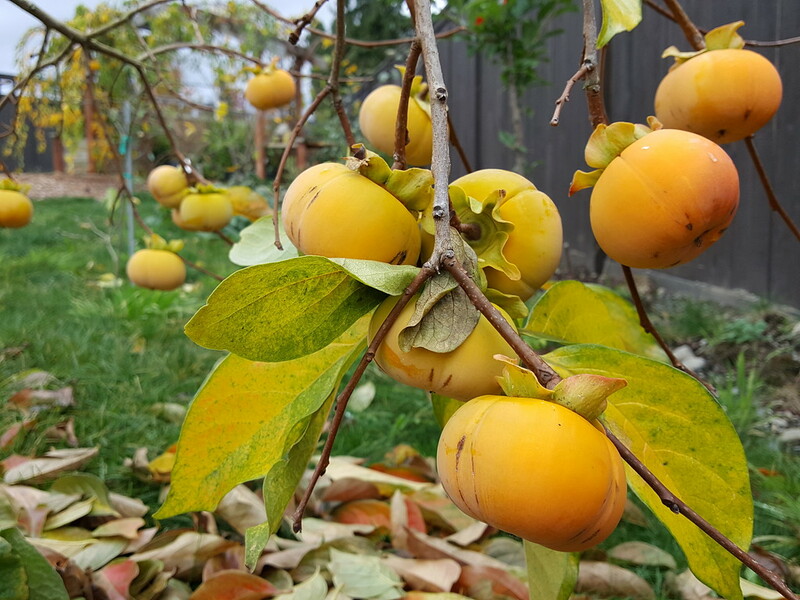 Overall I've been a bit disappointed in the viability of the Fuyu in Seattle. It's a bit unreliable without the long season. I plan on adding the Haichiya and Izu this year. The Izu is suppose to ripen in Sept to October. And the Haichiya is the astringent type. Who knows maybe the cross pollination may help with a better a crop. Can't wait to hear your successes and failures. Very informative and helpful. 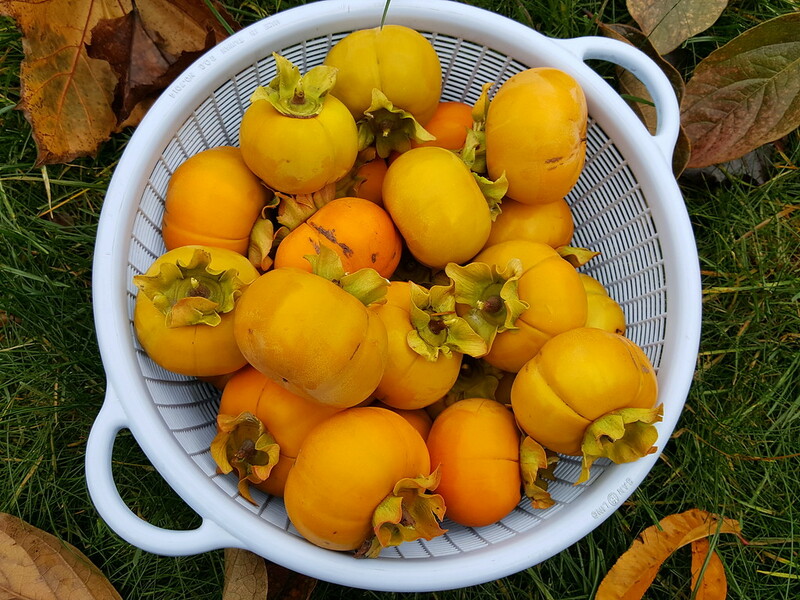 Is this the Fuyu variety or the Jiro (often confused with the true Fuyu)? The photo seems to show a Jiro but I could be mistaken. I'm interested in how things are working out this season.